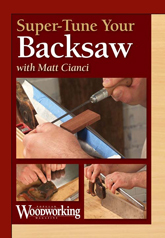 Assemble and disassemble a back saw for cleaning. Tune all of the parts together. Sharpen and set the teeth for many types of saws.